I was raised as an egalitarian without realizing it. That may sound funny to you, but I never thought of the way that I was being trained as “anti-Biblical” or even liberal. It was what I had seen all of my life…women who choose whether or not to get married, to have kids, to stay at home, etc. I mean, everyone has choices to make, right? Isn’t everyone entitled to make the choice that works best for them? Well, my first informal introduction of complementarianism came from a visit to my husband’s (then boyfriend/beau) church. I was immediately impressed at how loving, warm, and hospitality everyone was. When I inquired further, I realized that all of the women were at raising children. Some did assist their husbands with their businesses, but the majority was at home. What amazed me the most was that this was normal to them. For a woman to have her own career or do whatever she wanted in life as a married woman was completely far-fetched, and they were the type of women to gently coach you back to the Scriptures and home again. Now, my first formal introduction to complementarianism came during my husband and my courtship through the book (mind you, that was enthusiastically suggested to me by the same women from his church) Created to be His Helpmeet by Debi Pearl. I will tell you this now; I never made it past the first chapter. I started so eagerly, wanting to learn what these women had learned to have such beautiful marriages and loving homes, and I couldn’t even finish the first chapter without calling up my fiancé crying my eyes out. After trying to decipher the source of the problem for several minutes while making sure he wasn’t the cause of it, he finally asked me to tell him what I read. So I started to read that first chapter to him, and he fell out laughing. I told him that it wasn’t funny because I honestly could not be the wife he was looking for, especially if he thought that the women at his church were perfect. And I most especially did not want his happiness and joy to be dependent on whether or not I smiled all the time. It was all incredibly overwhelming for my poor egalitarian soul, and that first chapter scarred me for life. Over a year later, I still couldn’t pick it up and read it without shuddering with flashbacks, and eventually it was donated once we moved. Since then, I have come to a much better understanding of complementarianism, and I have even come to understand my own native egalitarianism better as well. Attending a women’s college, I also learned about the influence and effect of feminism on a lot of things, but especially how we look at the roles of husbands and wives in marriage. 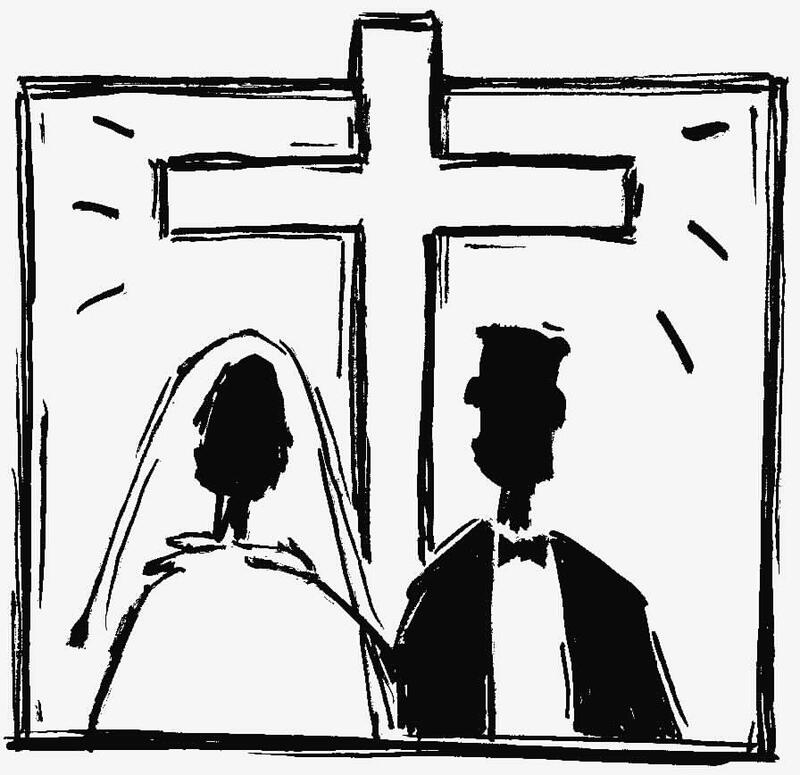 So in these next few blogs, I would like to explore the actual definitions of egalitarianism and complementarianism, talk about the extremes of these two camps, the lessons that I have brought with me as my husband and I have grown together in the covenant of marriage (lessons that may be beneficial for others), and my concerns for the future. I hope you feel comfortable to join in the discussion in the comment section, and if you would like for me to bring up a certain aspect or expand on something further, just let me know. Looking foward to your series! There seems to be so much cultural and emotional baggage in the egalitarian/complementarian debate that it can be hard to sift through all that and determine what the Bible actually says (and doesn’t say) about women’s roles. Glad you’re taking on the task! I’m familiar with Debbi Pearl’s book ctbhhm via Patheos’ Love Joy Feminism discussing various passages. If I ever walked into a church that promoted that material, then I would seriouly be concerned about the potential for spiritual abuse as well as domestic violence, because when it goes wrong it does get bad. Lots of people who are raised in the church are taught complementarianism by default and usually it is not as extreme as ctbhhm. I think that complementarianism lends itself best to personality types that are predisposed to it, but there is an independent streak in the women of my family that is opposed to the basic tenants of complementarianism. They all are completely devoted to the Lord, but would never call their husbands lord as ctbhhm indicates is a good thing. Already the egalitarian trolls are attempting to post with their slanderous venom. If you can make reasonable, cogent arguments without slander and ad hominem attacks, your comments will be approved. Otherwise, they will be marked as spam and ignored. Thank you. I am looking forward to the rest of the series. I was unaware that there are “complementarian” groups out there who advocate wives calling their husbands “lord.” If anything, I believe Peter meant that women should follow Sarah’s example of respect in that she called her husband “sir,” a very valid translation of the same Greek term. This does not mean that she should go around calling him “sir” all the time. Rather, the sense is that she should respect him in like manner. A woman can call her husband “sir” or “lord” all day and not respect him. This is a heart issue. Fallen human beings have a tendency to rebel against God-ordained authority. Men rebel against their church elders, their bosses, the government, and God. Women rebel against all those things as well as their husbands. In every instance, it starts with the heart. I’ve never been called a troll before. The point of my comment was to show concern because ctbhhm is a more extreme version of complementarianism than is commonly taught in less conservative circles. It is a book written by fallen members of the fallen human race with fallen logic, it is certainly not to be regarded with the same level of authority as scripture. The troll section of my comment was directed elsewhere. Hence the break in my comment before I responded to you and Alicia. The title was not meant for you. I understand the point you were making. I was arguing that they are hitting on some truth there, but that they take it WAY too far, if indeed they teach what you claim they teach. I only have your comments to go off of. I have never read their materials. Oh, I didn’t see any other comments. You might want to look up the book reviews on ctbhhm on amazon.com, the comments there will prove my point. “For you have been called for this purpose, since Christ also suffered for you, leaving you an example for you to follow in His steps, who committed no sin, nor was any deceit found in His mouth; and while being reviled, He did not revile in return; while suffering, He uttered no threats, but kept entrusting Himself to Him who judges righteously; and He Himself bore our sins in His body on the cross, so that we might die to sin and live to righteousness; for by His wounds you were healed. For you were continually straying like sheep, but now you have returned to the Shepherd and Guardian of your souls” (1Peter 2:21-25; NASB). So, while I agree that it takes the passage too far to suggest that women must now call their unbelieving husbands “lord” or “sir,” I would argue that they should have such an attitude toward their unbelieving husbands. Why? Because this is the same attitude Christ had before His unbelieving persecutors. But the text does not stop there. It goes on to explain the responsibility of husbands in light of Christ’s example. In Peter’s day, there was no feminism. Women were treated worse than children in the mainstream of Roman culture. As such, the section dealing with husbands would the controversial section of his exhortation, not the section concerning wives. Not sure how I missed this last week, but I’m glad I saw it today! I am looking forward to your continuation of this series. The women in my family are quite independent and vocal about lording over their husbands. It has definitely been a journey in the short few years I have been a Christian to learn how to submit (and I’m not even talking about my husband here!) and embrace the safety and protection that comes from doing so. It’s also been fun to diffuse the fires in my family caused by me willingly submitting to my husband’s decisions for our family. Haha.